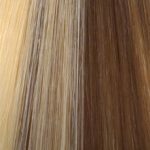 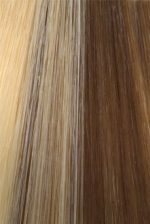 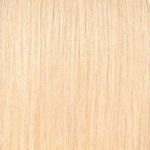 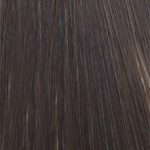 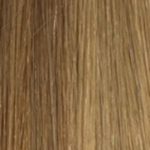 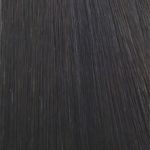 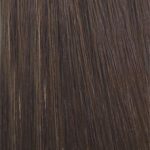 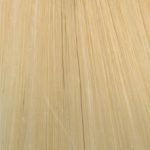 Product Description: 7 piece 100% Remy clip-in hair extensions in Natural Ash with Honey Blonde highlights measuring 20 inches in length (approximately 50 cms). 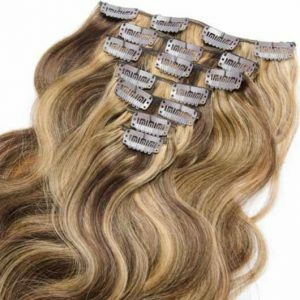 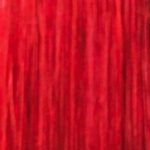 These clip-in extensions are made with the highest grade human hair — clip-in extensions that are soft to touch, low shedding, anti-matting and non-tangling. 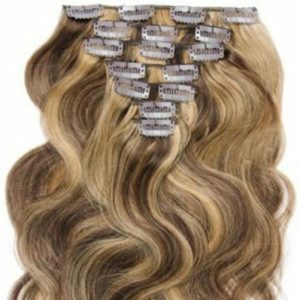 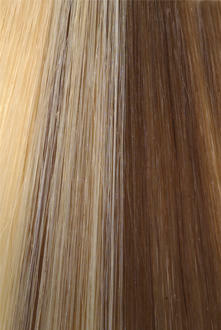 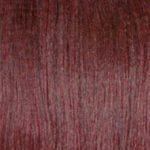 These highlight clip-ins are well-crafted and easy to look after, so that they look good for longer.